Hire a Web Developer or Do it Yourself? B: Create a website yourself (scary, I know!). When you hire a web developer, you can basically unload all of your ideas/plans onto them, pay $200 to $3000 and just wait for the end result. Pros and cons of hiring a web developer vs building a (WordPress) site yourself. Budget needed: $500-$3000 for a basic site + $70 / year for domain and hosting. Budget needed: $70 / year for domain and hosting + (optionally) $40 for a premium WordPress theme. No WordPress experience is needed. Basic understanding of how WordPress works is required. The website can be built on a completely custom design. Website is built on a ready-made WordPress theme. Additional functionality can be custom-made. Additional functionality is provided by WordPress plugins. The developer can register a domain name and buy hosting for you. You will need to register a domain name and buy web hosting on your own. You can have any type of website built. Usually good for building basic websites. Requires less time on your part. Requires a lot of time on your part. 1. Do you have the budget? The no.1 problem with web developers is that they tend to be expensive. Even though the market averages are very broad, we can safely estimate that hiring a developer can set you back anything from $500 to even $5,000 for a basic website. This is just how the market works. We’re talking about people who do this professionally … hence they need to make a living, hence they have kids to feed, hence they have bills to pay, etc. So the first question to ask yourself is, do you have at least $500-$1000 or more to spend on your website? If so, you can consider hiring a web developer. If not … well, you have your answer – you’re building the thing yourself. In which case, don’t worry – we have a really cool guide that will take you through the process step-by-step. 2. Do you know WordPress? Now, I’m not talking about some advanced, obtained-over-the-years knowledge here. All you need at this point is a basic understanding of how to work with WordPress – publish posts, pages, install plugins, install themes. If you can’t be bothered or simply don’t have the time to invest in obtaining knowledge like that then sorry! Even though WordPress is relatively easy to master, it’s not walk-in-with-no-preparation easy. You’re going to need a developer’s help. 3. Do you want to use a WordPress theme or get a completely custom design made? There are more than 4,500 best flexible themes available in the official directory and probably 2-5x that in the premium market. With all that abundance, finding a theme that’s 99% perfect for your needs isn’t hard … time-consuming – yes, but hard – no! However, if you need something entirely custom, then making such a thing yourself is really difficult. What we’re talking about here is basically building a completely new WordPress theme/design from scratch. If you want to do that, you need professional help. In a nutshell – if you’ve found a theme you like and you want to use it on your website, you can set things up on your own. No developer needed. 4. Do you need any custom functionality that you can’t find in a WordPress plugin? WordPress themes being one side of the spectrum, WordPress plugins are the other. The plugins market is perhaps even 10x bigger. In short, if you can find all the features you need either in WordPress itself or via plugins, you probably won’t need a developer to install the plugins for you. In a rare, 1 in 1000 case, you might need a feature that’s not available via a plugin. Maybe you’re looking for something entirely original that’s crucial for your business to operate. Or something that simply has a differentiating factor compared to what your competition has on their sites, and etc. If that’s your situation, you need a developer to build that feature for you. 5. Are you comfortable around domain names and hosting? Lastly, let’s talk about the most technical aspects when building a new website – you need a domain name and a hosting account to make everything work. In all honesty, getting one or the other isn’t as difficult as some people would like you to believe. A domain name is your website’s address on the internet. This site’s domain name is websitesetup.org. To get a domain name, all you need to do is go to a domain registrar and purchase it. A hosting account – or a web server – is where your website is stored (this involves all your website files and data). More on the topic here. As said, even though it may sound intimidating, getting a domain name and hosting isn’t difficult. For example, if you decide to go with a company like SiteGround (one of our reviewed companies), you can get both the domain and hosting all in one place. SiteGround will take you through the signup process by hand. At the end of it, you’ll come out with a registered domain name, a hosting account set up, and even a clean instance of WordPress installed on that hosting account. Highly recommended! If all I’m saying here doesn’t sound particularly enticing to you then you might want to hire a developer who’s going to handle all those hosting- and domain-related tasks for you. Final verdict: Hiring a web developer or building a site yourself? Which of these describes you better? I’m familiar with WordPress or will learn. I’ve found (or will find) a WordPress theme for my website. I’ll use existing plugins for added functionality. I can handle (or am willing to try) setting up a domain name and hosting myself. I have the time needed to complete this. I have at least $500-$1000 to spend on the site. I don’t care for domain registrations or hosting. I have little time to work on my site. If you’re an (A) type of person then you can go ahead and build the thing yourself. Here’s a guide of ours to get you started. If you’re more like (B), hire a web developer. That pretty much sums it up. There really isn’t a universally better path among these two. Based on your needs, one is always going to be better than the other. It’s a matter of figuring out what your expectations are and how much time and money you can invest. 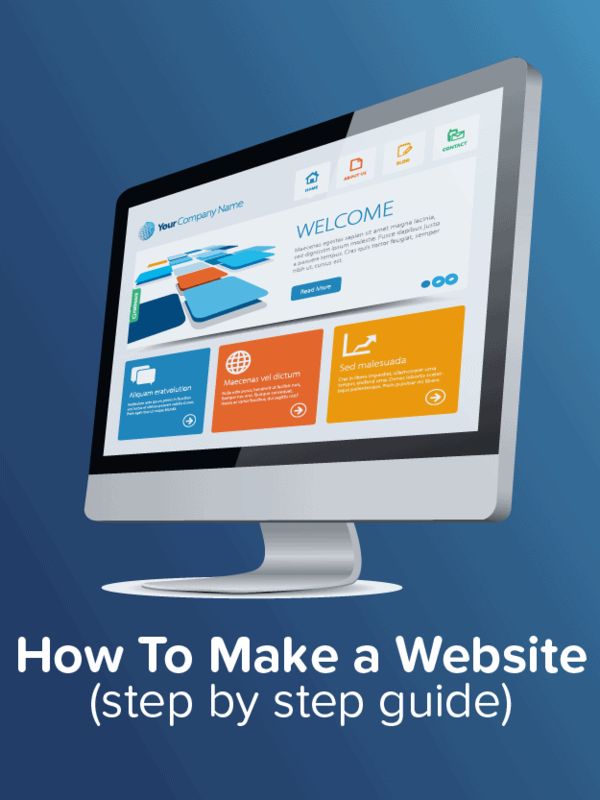 If you want to create a website by yourself, read this step by step guide. Ditto to all of the comments below – this is one of the clearest evaluations of DIY or developer I have read – so THANK YOU! I’m goin’ WordPress!! I think I can! I have been wasting so much time trying to figure all of this out. And now I found your site and I can’t wait to start working on it tomorrow. I will let you know how it goes. I want to do it myself so I am in command. Thanks. I think I’ll do it myself. In that way I can save some money for later.